Happy New Year to all F-Word readers. The weekly round-up has been on hiatus over Christmas but it’s back now with (what we see as) the most interesting and important articles from the previous couple of weeks. We’d love to hear your thoughts on any of the issues covered in our chosen links. In response to this article, the music writer Lucy O’Brien, tweeted “What about those festival bills then?” (https://twitter.com/LucyOBrienTweet/status/945616460801560576) a comment which relates, amongst other things, to a report the BBC did in June 2017 revealing the lack of female festival headliners: http://www.bbc.co.uk/news/uk-england-40273193. From the article: “The decision also came after an open letter written by two New Zealanders argued the concert would show support for Israel’s occupation of Palestine. The ad says Lorde’s decision showed how a ‘growing prejudice against the Jewish state’ in New Zealand was ‘trickling down to its youth’. From the article: “In a sense, Time’s Up is being launched as a companion to the #MeToo movement that grew out of the spontaneous response to revelations about Hollywood’s ‘casting-couch’ system of sexual predation and enduring gender-pay disparities. The image is used under a creative commons license with thanks to Sandrine on Flickr. 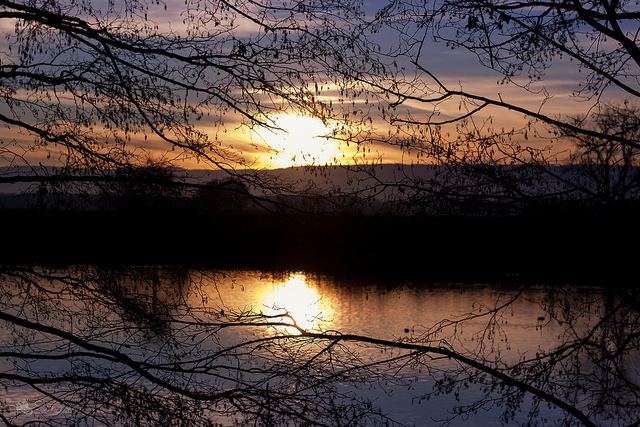 It shows a lake surrounded by trees at sunset; the low hanging sun is reflected in the water.